However, he indicated that he might have taken a “different line” from the Tamil Nadu government’s resolution that recommended their release to the Governor. Mr. Rajapaksa is in Delhi to deliver a public lecture on Wednesday on “India-Sri Lanka relations: the way ahead”. Speaking to The Hindu, the former President, who says he is “100%” confident his party will come to power in 2019, proposed a new mechanism for India and Sri Lanka to resolve all issues, especially economic issues. The mechanism would mirror the “Troika” formed in 2008-2009 of three Indian officials — National Security Advisor M.K. Narayanan, Foreign Secretary Shivshankar Menon and Defence Secretary Vijay Singh — and three Sri Lankan officials — Advisor Basil Rajapaksa, Defence Secretary Gotabaya Rajapaksa and Permanent Secretary Lalith Weeratunga — to coordinate India-Sri Lanka ties during the war against the LTTE in 2008-2009. Unfortunately he is not prepared to work with me. 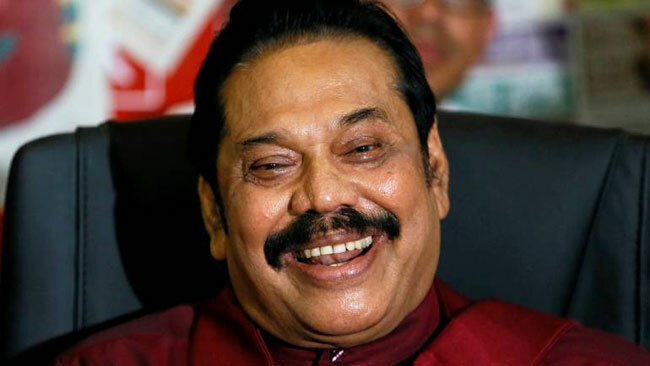 We have a new party [Sri Lanka Podujana Peramuna], and our president is G.L. Peiris. So he must reach out to us since we got about 45% of the vote in a three-cornered fight.